AguaDrone is our feature for Day 8 of our 25 Days of Christmas Guide. AguaDrone is the first 100% waterproof fishing drone, and developed by a father and son combo. The AguaDrone also features a fish finder, as well as many other unique features. A father-son entrepreneur team debut their new prototype, the AguaDrone and full complement of unique accessories to drone and fishing enthusiasts around the world via Kickstarter and CNBC’s Make Me a Millionaire Inventor. 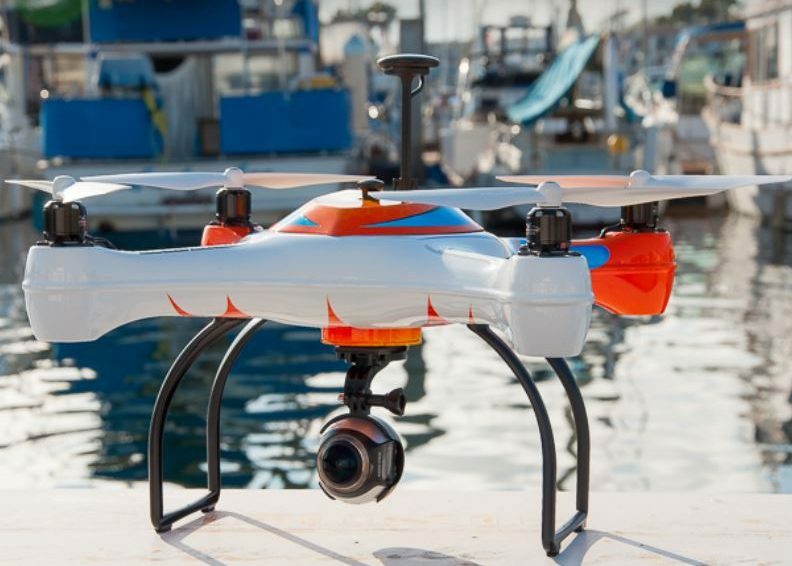 “We’re excited to reveal the world’s only waterproof drone designed specifically for sports fishing, outdoor watersports, commercial fishing, and much more,” said Christopher Marion, son and COO at AguaDrone. 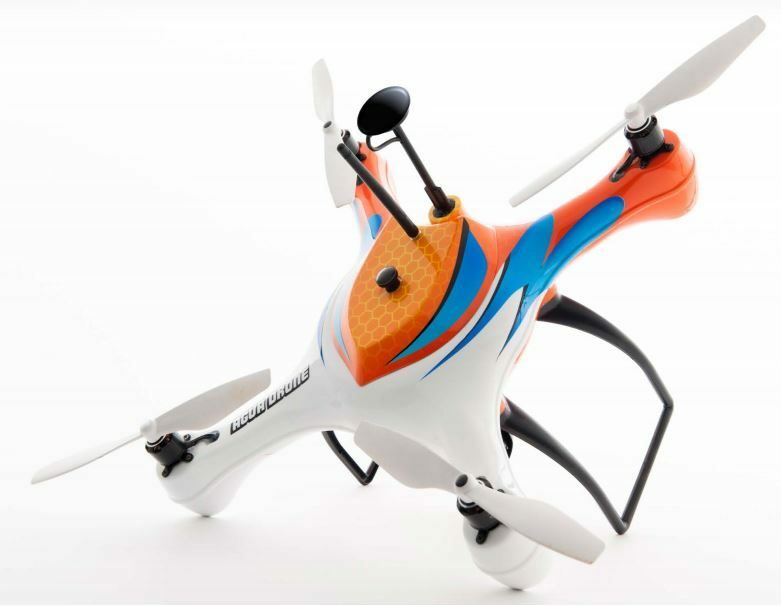 “With its 100% waterproof design, the AguaDrone can land in and take off from fresh and saltwater. The drone is equipped with unique, patent pending quick change pod accessories, allowing users to switch from one pod to the next with just a twist of the wrist,” reveals Daniel Marion, Father, CEO and inventor of the AguaDrone. The father-son team doesn’t plan to stop with fishing applications either. “What makes AguaDrone unique is that it doesn’t just fly around and take pictures; it’s a fully modular drone designed to adapt to your activities and needs, regardless of the environment. It’s the workhorse of drones. Whatever technology you can dream up we can put in our quick change pods. As our family of pod accessories grows, so does the number of uses of the AguaDrone. There’s no other drone like it on the market,” states Christopher. The AguaDrone’s current accessory pods include; The Find Pod, a sonar fish finder that sends sonar fish finding images to your handheld device The Fish Pod, capable of remotely carrying your bait and line via the drone to the fish The Film Pod, a waterproof camera that captures images from the air and under the water’s surface The OS Pod, an Open Source pod allowing users an easier way to attach their own device to the drone The team anticipates unveiling several new pods throughout 2017 that are sure to wow users. 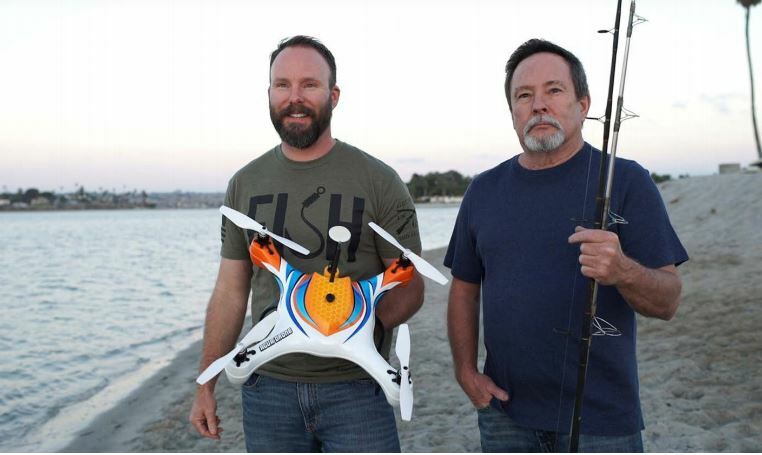 The creators of Aguadrone anticipate the drone initially being a hit with fishing fans and drone enthusiasts who saltwater fish from shore, enabling users to remotely drop their line and bait beyond the surf line, as well as big game fishing anglers who currently use kites or balloons to get their bait to the big fish. The father-son team believes their all-weather, all-environment drone ideal for commercial fishing and industrial applications as well. We designed AguaDrone using good old fashion common sense. Our goal was to make a drone that is easy to use, easy to maintain, and capable of doing more than any other drone on the market! And by George we did it! 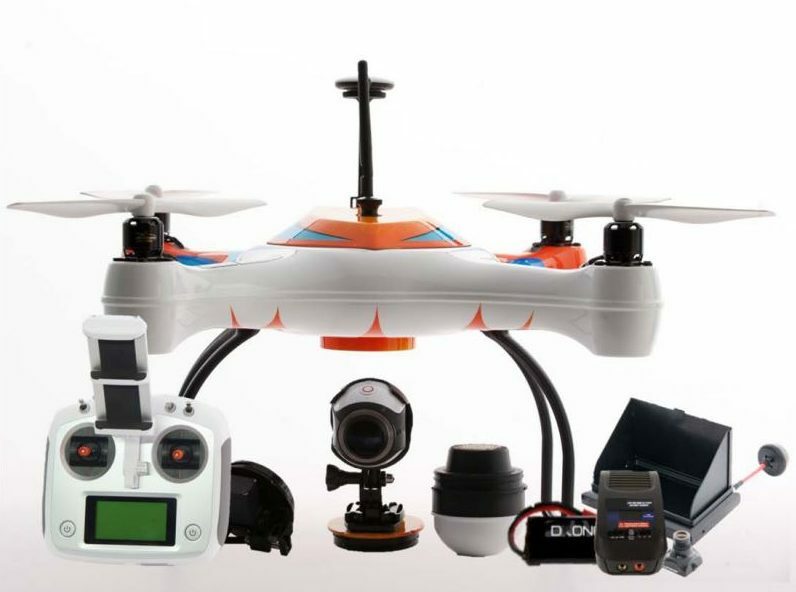 Aguadrone is the only drone to offer an entire family of accessories, which means the AguaDrone platform does more than any other drone on the market. It’s not just a selfie drone! As our family of accessories grows so does the variety of uses of your AguaDrone! Father Son team creates worlds only 100% waterproof fishing drone with a fish finder and a number of other unique accessories. Product debuts on this season’s CNBC’s Make Me a Millionaire Inventor. The all-weather, all-environment drone is fully modular with quick change pod accessories that include a fish finder pod, remote bait casting pod, waterproof camera pod for air and underwater images. Land on and take off from fresh and saltwater. The only drone that does more than take selfies! Find, Fish, Film!